He finally popped the question! Now what? If it’s your first time planning a wedding, you’ll need some guidance. First time planners may be completely stumped and are probably searching for expert wedding planning advice. You’ve heard that weddings are expensive. According to The Knot, weddings can cost on average between $20,000 and $40,000—yikes! As a result, one of the biggest questions engaged couples need answered is how to budget for a wedding. 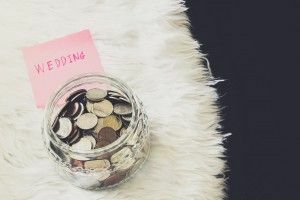 While it may seem daunting starting from scratch, learning how to budget for a wedding isn’t rocket science. It takes some discipline, but it’s a key component in the planning process. Whether it’s big or small, we have 7 wedding budget tips you can use to save a buck or two! When learning how to budget for a wedding, keep in mind that sticking to a budget is easiest when it’s realistic. It’s important to know how much you are able to spend without breaking the bank. This is where you put your organizational skills to the test. If you’re tech savvy, you’ll likely turn to apps to stay organized; we’d recommend Our Wedding Planner. If you prefer a more manual approach, an Excel spreadsheet is a tried and true method for tracking your expenses! Wedding planners may seem expensive, but in the long run you truly get a bang for your buck. 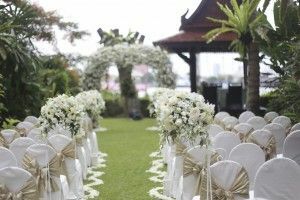 Planners come equipped with expert wedding planning advice, and help alleviate the stress that accompanies wedding planning. They know the ins and outs of the industry, and are well-connected with vendors. In this way, they are able to score fantastic deals which you may not have been able to on your own! Bonus point: they also have superb budgeting skills. 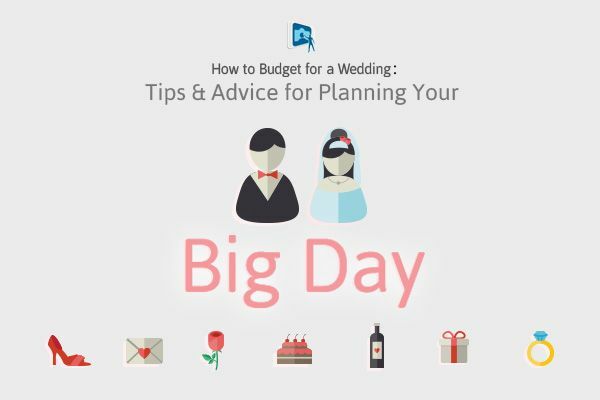 So pay attention—they’ll show you a thing or two on how to budget for a wedding! A good piece of wedding planning advice we can offer you is to stick to one spot as the venue(s) usually takes up the bulk of your budget. You’re more likely to work out a better deal if you host both the ceremony and reception in one spot. Your guests will also be thankful they don’t have to move locations! Night-time receptions are generally more expensive compared to lunch-time ones. If you’re looking to cut costs, or you’re working within a tighter budget, consider hosting your wedding during the day. Use this to your advantage and host an outdoor reception! Wedding websites have been very popular lately. However, an emerging trend we’ve seen is honeymoon funds hosted on these websites. A honeymoon fund is a great way to save costs on your romantic getaway. Instead of physical monetary presents, your guests will be helping you build life-time memories with your new partner! Doesn’t that sound better than a boring pot and pan set? When concentrating on how to budget for a wedding, don’t forget the bottom line—it’s all about having fun! Once you have your bases covered (venue, officiator, etc. ), you have room to define what you need to have. Our wedding planning advice is to splurge on quality, whether it’s on a photographer, entertainment, or catering. Another wedding trend to keep an eye out for is photo booth rentals for entertainment. Wondering if a photo booth is the right fit for your wedding? See how TapSnap brings your wedding into the 21st century. While there are many inexpensive companies out there, reconsider skimping on the quality. Read on to see why bargain photo booths may be a bad deal. Remember, you want to capture the best moments from your wedding day! There’s nothing worse than stressing over paying off your wedding costs. By keeping these wedding budget tips in mind, you’ll be starting off your wedded life in bliss! 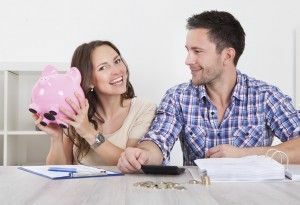 We realize that adhering to a budget can sometimes be a little tricky, but these rules aren’t set in stone. If you need some guidance, take a look at these tips to stick to your event budget.